Revere Electric is excited to announce our new partnership with Codian Robotics. Codian robotics develops Pick and Place robots for industrial applications. They are ideal for high speed, high payload, hygienic environments; such as, food & beverage, packaging,pharmaceutical, automotive, and consumer electronics. Codian Robotics focuses on the niche market of Delta robots and offers the widest range of Delta robots in the world! Their differentiating benefit is that they are built without an operating system, which makes them compatible on almost every common machine control system. Thinking about incorporating robots on your next machine? Revere?s robotics team can help you with every step in the robot application process ? from design and build to final output; our expertise ensures increased efficiencies and productivity of your machine. For more information, contact your Revere Account Manager to learn what Codian Robotics can do for your next pick and place application. This Codian D2-1000 robot features Carbon Fiber arms. In this application, there is an added motor to the tooling plate to allow an extra degree of rotation. The robot is picking up sealed glasses of milk and transferring them for packaging. Codian Robots are an open architecture and can use any control system that has a Kinematics Model. 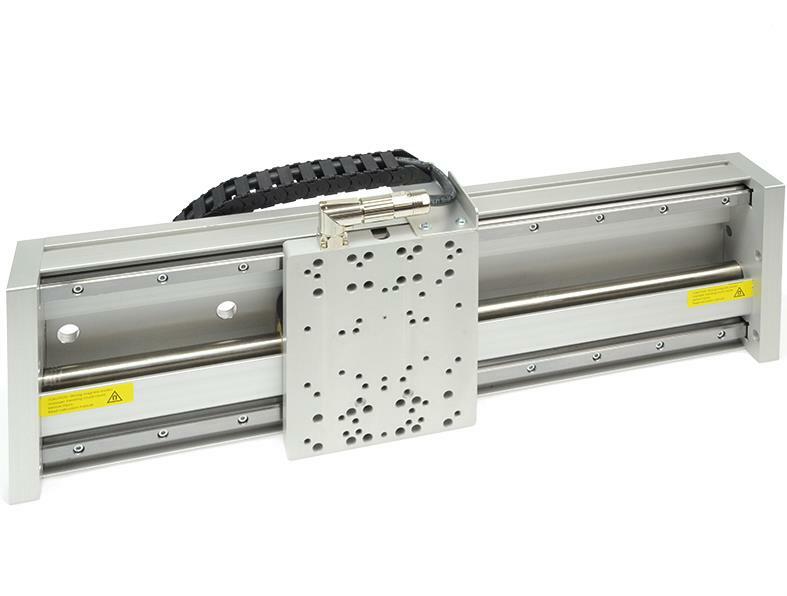 LinMot linear guides are compact guide units for linear motors. The guides are used to guide the load, to support external forces,torques, and bending moments, and simultaneously act as anti-rotation devices.They provide high-precision guidance and allow the load to be dynamically and precisely positioned. The E-Guide is LinMot?s newest version of a guided linear motor. The E-Guide features a second set of linear bearings (previous F guides only have one set). This extra set of bearings gives you added resistance to ?twisting?. For example, if you have something hanging below the unit and it is moving back and forth, it would act like a pendulum. If you incorporate an E-Guide , you will have the extra bearings needed to resist the swinging motion, which allows the unit to go faster and remain precise. 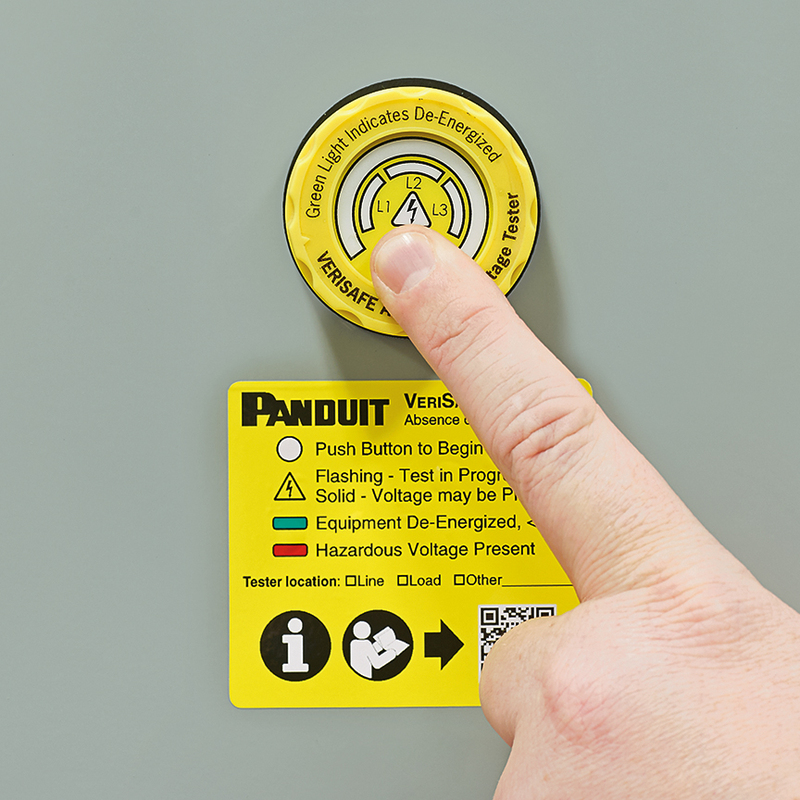 The VeriSafe™ Absence of Voltage Tester product from Panduit is the latest in groundbreaking electrical safety tools, designed to minimize risk of electrical hazards in about ten seconds. 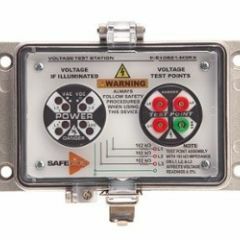 This 2018 NFPA 70E compliant, SIL 3 rated product can determine voltage status before equipment is accessed with just a push of a button, keeping your people and assets safe. Fluke's 3561 VC Vibration Sensor takes vibration and temperature measurements remotely every 90 seconds and will send you graded security alarms on your smart device or computer within seconds of an abnormality. Remote monitoring decreases routes and improves uptime by giving you actionable insights. Philips InstantFit LED lamps make the transition to LED from CFL lamps as simple as replacing a lamp. With both vertical and horizontal options and a wide array of color temperatures, the InstantFit LED lamps can quickly and effectively replace compact fluorescent lamps. The horizontal version includes a rotatable end cap to ensure the light is correctly aimed. Stainless steel conduit is ideal for corrosive environments,such as chemical processing, water treatment plants, oil & gas refineries,food processing, wastewater treatment, ship building, steel mills, powerplants, transportation, utilities, and marine applications. Specialty product features include, but are not limited to: Food Grade/NSF Certified, Industrial Grade, Halogen-Free, Low Fire Hazard, Extreme High/Low Temperature. 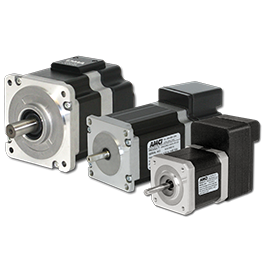 Advanced Micro Controls Inc. (AMCI), has added larger motor sizes to their lineup of PLC-based SMD Series "all-in-one" stepper motor + drive + controllers in order to satisfy a wide variety of applications with varying torque requirements. The SMD Series offers many sophisticated features at a low price point, and integration eliminates the need to purchase multiple components. AMCI?s SMD Series integrated solutions are ideal for new machinery and retrofits when looking to automate set up axes. The SMD Series integrated stepper motorsprovide a complete solution, offering a wide variety of options for exceptional performance across a range of applications. With the addition of NEMA size 34 packages, options now include NEMA size 23, NEMA size 24, and NEMA size 34,with torque ranging from 130 oz-in (0.9 N-m) to 850 oz-in (6.0 N-m). 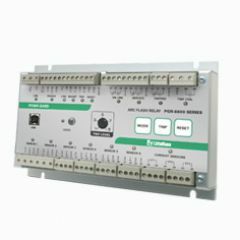 Features of the SMD Series include built-in network connectivity, EtherNet/IP, Modbus-TCP, or Profibus, built-in Ethernet switch, SynchroStep™ technology, optional integrated encoder (incremental or multi-turn absolute), IP67 rated versions, gearboxes, and compatible cord sets. 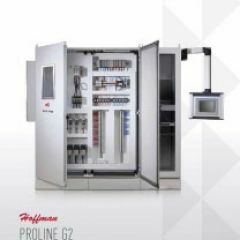 Used in place of multiple servo drives, the Allen-Bradley® Kinetix® 5700 EtherNet/IP™ servo drive helps machine builders reduce cabinet space by up to 70% and wiring requirements by as much as 60%.Jim Grosskreuz, Rockwell Automation, shows how this platform can help machine builders develop leaner machines, and get them to market faster. Apex Dynamics USA is proud to announce the official, highly anticipated, release of the high precision rack and pinion line. Apex Precision Rack and Pinion is the ideal selection for your automation application. Rack and Pinion systems can replace ball screw systems with longer travel capability without adding inertia and offer higher force capability. Linear motors can also be replaced with rack and pinion to provide lower cost and similar performance in many applications. Highly accurate systems for machine tools and measurement systems can be engineered with rack and pinion using electrical preload designs. 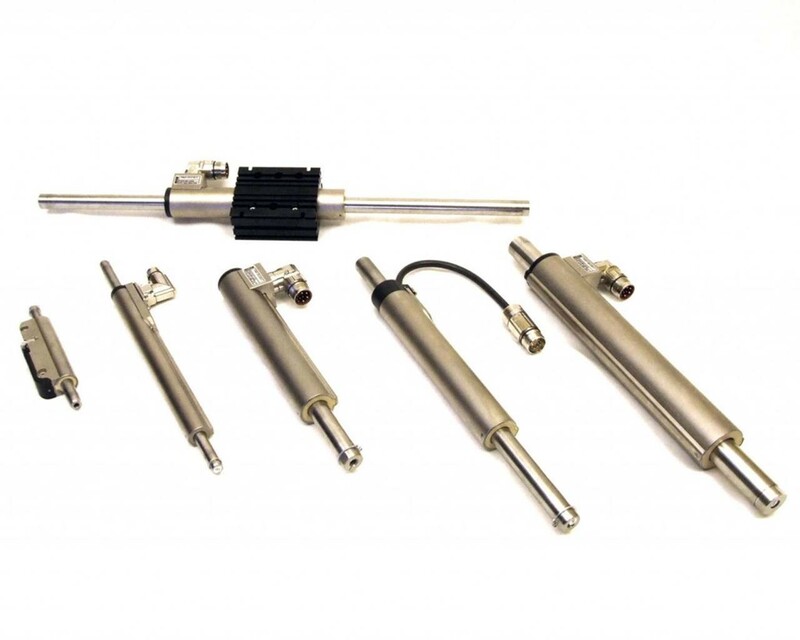 Do you have an application that may require Rack and Pinion? Download the Rack and Pinion Application Questionnaireto start designing your system. For a complete listing of our motor offerings, please download our "Motors at A Glance" brochure. Learn more about Toshiba motors on their website. Every detail matters in a potentially hazardous workplace. Don't minimize the need for adequate signs, labels, and identification. 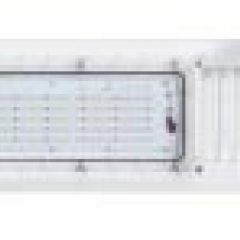 Use clear and quickly understood signs from Panduit to mark routes, alarms, equipment, and power sources. Place labels on arc flash and chemical sources, employees' locks, and network systems hardware. Identify regulatory standards, cables and wires, patch panels, faceplates, circuit boards, and data centers. ThinManager provides software solutions for automation networks that enable secure, centralized configuration and deployment of applications and content to every PC, thin client, mobile device and user. 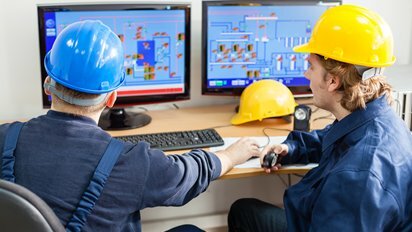 ThinManager® increases safety and security through powerful visualization and authentication features while reducing maintenance and downtime by simplifying the management of all devices and users. Users can also go mobile with ThinManager?s built-in mobility solution, Relevance®?the only location-based mobile management platform that allows applications and content to be securely delivered to specific locations within a facility and nowhere else. Increase productivity, visualization, mobility and security from one easy-to-use, centralized and scalable management platform. The MP8000 are advanced motor protection electronic overload relays, fully programmable via Bluetooth ® using an iPhone ® or Android™ smartphone or tablet with the Littelfuse App. It is easy to use and arc-flash safety is increased because the app allows settings to be modified and real-time operational information viewed. Viewing operational information and faults on the app does not require the user to open the control panel. 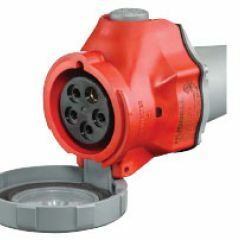 Hubbell?s new 30A Circuit-Lock Disconnect with integralphase indication LEDs redefines the benchmark forsafety by providing insight into the enclosure while inuse. Six highly visible LEDs communicate the electrical status of the switch byphase.This voltage detection feature significantlyimproves existing safety and maintenance procedures byvisually providing personnel critical information prior to r emoving the enclosure cover; e.g. a welded contact ordropped phase. Veolia just released a new catalog. 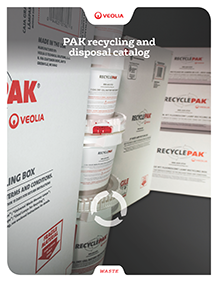 This catalog not only includes all their award-winning RecyclePak® products for recycling of lamps, ballasts, batteries, mercury waste, and electronics, but also includes information on proper disposal for aerosol cans, smoke detectors, tritium exit signs, regulated medical waste as well as, environmental supplies, including poly pails, boxes, spill kits, and much more. Hubbell just announced the addition of 2 new NEMA configurations to the Twist-Lock® line! These new NEMA configurations will support electrical connections in data centers that are starting to employ higher power at the cabinet level. Most data centers are fed with 277/480V AC, 3 phase power, which then needs to be stepped down for cabinet PDU's which operate between 100V AC to 240V AC single phase. This is accomplished by stepping down from 277V AC through isolated transformers before it can be used. By way of 415V AC, 3 phase power, data centers can now realize greater efficiency by reducing the number of power transformers in their facility. This change in power delivery is estimated to increase efficiency by approximately 2%. 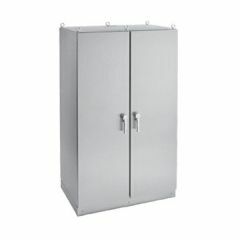 In addition, cabinets are now able to accept higher voltages such as 240V AC. 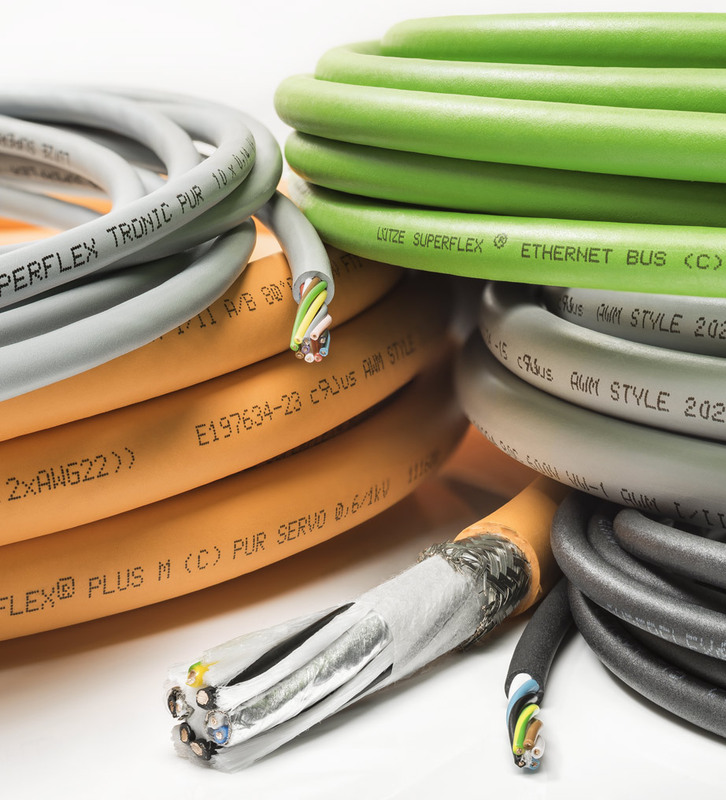 With these new NEMA configurations, electrical connectivity can be possible with Twist-Lock® devices. Introducing Philip's new line up of lighting essentials ? quick to order, easy on your wallet and simple to use. And, all Light to go products are available in 48 hours or less! The Philips Light to go lineup allows you to choose dependable, sturdy and great-looking products that will last, but won?t blow your budget, whether it be a commercial, residential or outdoor lighting project. 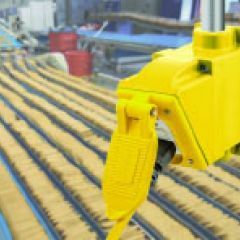 LUTZE is the ultimate partner in industrial cable and connectivity products for industrial automation. Their rugged, industrial cables are designed for harsh environments and provide the right solution for your power, control or data applications. Have you ever wanted to get more for less? How about better performance and longer motor life, while lowering your electric bill? NovaMAX™ motor's innovative conical rotor/stator geometry produces rare-earth-like motor performance using inexpensive, readily available, ferrite magnets. It is a whole new class of electric motor that provides the performance of a permanent magnet motor at a cost more similar to a premium induction motor. The design of the interior permanent magnets (IPM) further focus flux for improved sensorless motor control. 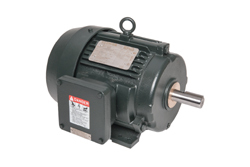 Due to higher efficiency the motor runs cooler, extending motor life . Using permanent magnets produces a magnetic field in the rotor, which inherently saves energy when compared with the electrically induced magnetic field in an induction motor rotor. The NEW Alpha Value Line is universally suitable and represents the most economical solution for driving any axis in virtually any industry. Modular configuration of the interfaces to the motor and the application. You can choose between several different clamping hub diameters, input stages and design and mounting variants. Safe and secure motor mounting is possible in a single step. More than 95% efficiency at full load. Torsional backlash in the region of <= 8 arcminutes. 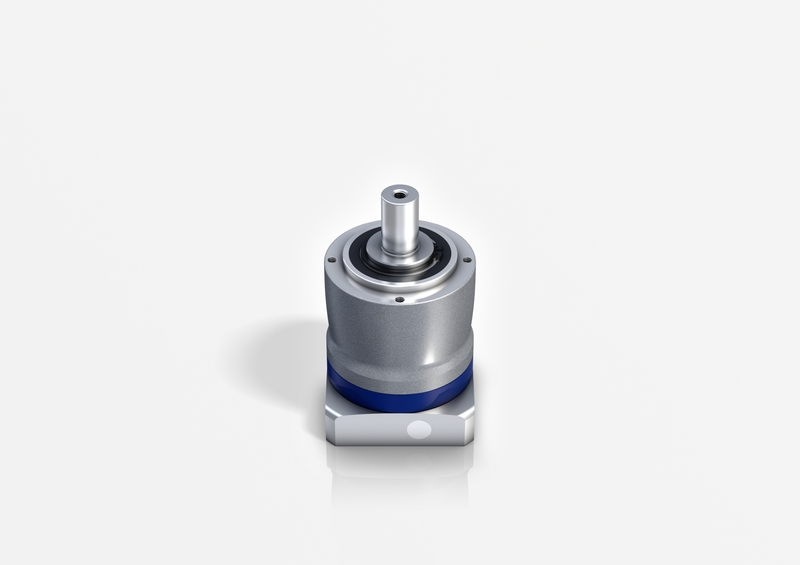 Alpha gearboxes are distinguished by extremely quiet running and synchronization accuracy. 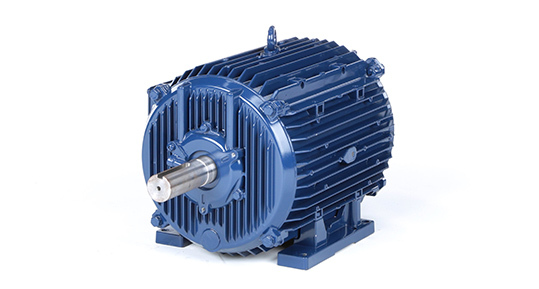 The gearboxes are suitable for both cyclic and continuous operation. 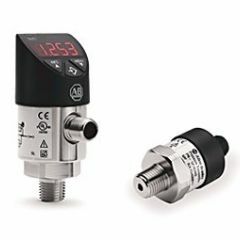 The Alpha Value Line lets you select the mechanical interface flexibly according to your individual requirements. Thanks to the special lubrication concept, you can install the gearboxes vertically, horizontally or with the output facing upwards or downwards. new design options - For example, in linear applications with a rack and pinion or a timing belt pulley. The HIGH TORQUE version provides extremely high power density. Safety - MegAlert is committed to making the workplace safer by bringing you devices that provide "hands-off" testing, which can prevent disastrous accidents from occurring and even saves lives. MegAlert gives you a highly reliable indicator of a motor or generator's probability for failure on startup is crucial, allowing you to reduce unscheduled downtime and save on potentially disastrous repair costs. A safer and more reliable work environment comes with the added benefit of cost savings in crucial areas of operation. with less downtime and fewer unscheduled repairs, as well as an increase in personnel safety, you can be confident MegAlert will benefit you and your operation. 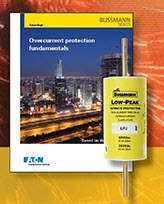 Bussmann just announced the release of their 2018 Fuseology handbook, a 52-page technical guide that covers circuit protection basics based on the 2017 NEC ® , and provides insight into what can make an electrical system safer. The handbook demystifies topics like fuse operation and construction, ratings, performance characteristics, and fuse types and classes, along with their Code requirements. eWON Flexy 205 is Now Available! The eWON Flexy 205 is the new advanced internet data gateway that allows Machine Builders to monitor and collect vital KPIs for analysis and predictive maintenance. With data logging, alarming, built-in web interface, scripting and enhanced internet connectivity, the Flexy 205 is a modular Internet Gateway for your IoT deployment. It also supports VPN Remote Access for easy troubleshooting of your distant industrial equipment. 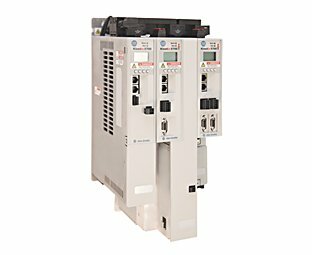 The new Allen-Bradley® PowerFlex® 525 AC drive from Rockwell Automation delivers an innovative modular design that is remarkably versatile and can accommodate systems ranging from standalone machines to simple system integration. These next generation compact drives come with embedded EtherNet/IP™ communications, safety, USB configuration and a high ambient operating temperature, as well as a wide range of motor control ideal for a vast array of applications. The new Hoffman Angled Trough is an enclosure that cuts total installation time by 80%. It eliminates the need for costly 90-degree conduit bends and offers flexibility for wire distribution, making it a time and cost saving solution. 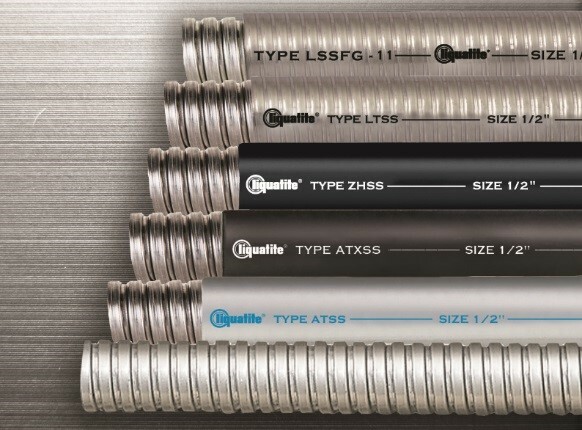 Electri-Flex Company announces the launch of a new line of Stainless Steel Flexible Conduits. 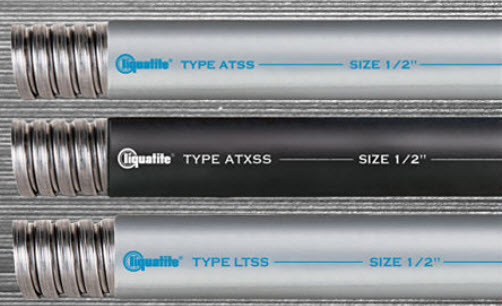 The use of stainless steel for the core of a liquidtight flexible conduit provides exceptional resistance to corrosive atmospheres such as chemical processing, water treatment plants and other specialty applications where standard plated steel may not be adequate. The inner stainless steel core provides not only corrosion-resistance, but also offers additional high mechanical strength. 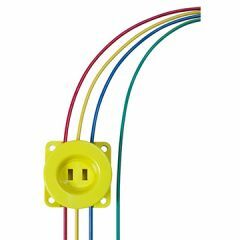 While the Panduit TX6A Field Term Plug (Figure 3) works within any architecture, it is ideally suited for direct connect applications which depend upon a high-performance plug that can be terminated on site. 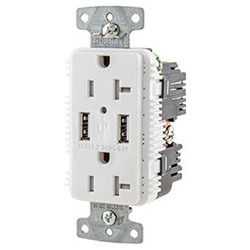 The plug is ideal for connecting network devices such as wireless access points, LED lighting, security cameras, sensors, building access units, display panels, and others. Mersen, an industry pioneer in surge protection technology, has developed a world-class suite of surge protective devices for your entire facility. 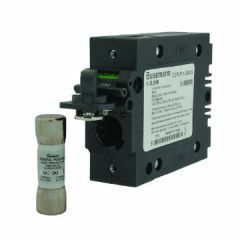 Surge-Trap® SPDs are designed to UL1449 4th Edition standards and feature Mersen's industry leading patented TPMOV® technology inside. Providing advanced overvoltage protection to meet today's toughest requirements, you can rely on Mersen's Surge-Trap® SPDs for proven and safe facility-wide protection. 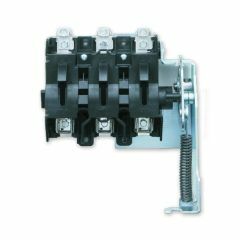 Eaton's Breaker Integrated Transformers (BIT) integrates a traditionally separate Molded Case Circuit Breaker (MCCB) and a low-voltage dry-type distribution transformer. Factory-assembled and fully tested, BIT helps reduce arc-flash hazard, footprint and overall cost of the electrical distribution system. If you have a need that does not meet the standard specifications, Eaton?s Transformer Flex Center provides the ability to engineer or modify solutions to solve your most critical application challenges. Designed with an even higher efficacy and a best-in-class thermalmanagement for ambient temperatures up to 65°C, the Essentials Series 4.0 provides the highest reliability and best lumen maintenance in the industry while providing the lowest TCO. LinMot, a Rockwell Encompass Partner, manufactures a complete line of Linear Motors, Guided Actuators, Servo Drives, and MagSpring constant force magnetic springs for industrial applications. 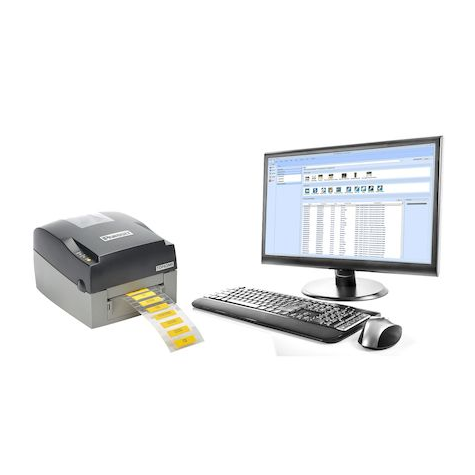 As a Rockwell encompass partner, LinMot products have AOIs (add on instructions) and EDS (electronic data sheet) files for seamless integration for the Logix processors. If you have applications that call for extremely high speeds, long life, complete controllability, very long strokes, and peak forces up to 600 pounds, look no further than LinMot. Hoffman thermal management products provide industry leading quality and reliability. Hoffman aftermarket service and support are unmatched in responsiveness and resolution. Now you can receive that same level of support and protect yourinvestment for up to 5 years total with Hoffman's Extended Warranty plans. 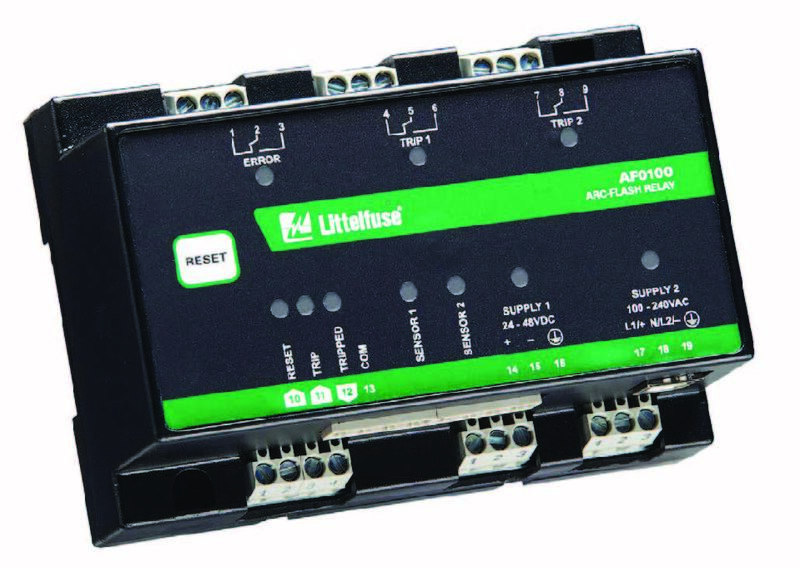 Littelfuse AF0100 Series arc-flash relay is a cost-effective solution that reduces arc-fault damage by detecting the light from an arc flash and rapidly tripping. Two remote light sensors can be connected to one relay and multiple AF0100 and/or AF0500 relays can be connected to monitor additional sensors, providing complete coverage for a wide range of applications. Grace Engineered Products, Inc. is pleased to announce the new GraceSense™ Hot Spot Monitor (HSM); a continuous temperature monitoring device intended for locations that are difficult and hazardous to access. 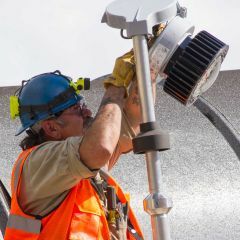 The HSM utilizes patented fiber optic technology to provide constant temperature data from nine or eighteen independent sources (depending on the HSM model). The optical probes can be mounted onto electrical busbars, splices, disconnects, cable connections, or any source of heat. 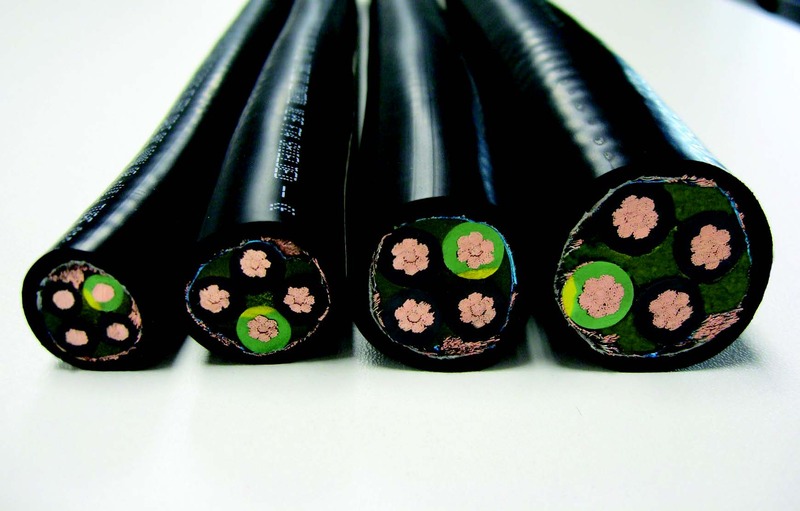 The HSM provides a unique combination of non-conductive fiber optic technology with advanced algorithms. Simply attach the fiber probes to a ring-style connector that securely bolts onto heat surfaces such as busbars while the other end connects to the HSM. Potential Failure Points (PFPs) may include inaccessible equipment and blind spots to infrared (IR) thermography. The most obvious benefits of the HSM over IR come from the real-time status updates of temperature data at PFPs that are completely inaccessible to IR scanning. In addition, the successfully proven measurement accuracy of the probes is not subject to operator error, as can be the case with IR. Panduit terminal block markers simplify control panel identification by enabling the use of a single, cost-effective printer for all labels, including terminal block markers, heat shrink, self-laminating, raised panel, arc flash labeling, and safety sign printing. Designed from a unique flexible polymer material that can be printed on-demand from a standard TDP43ME using a standard resin ribbon, Panduit terminal block markers remove the need for multiple printing system; saving shop space, time, and wasted costs. 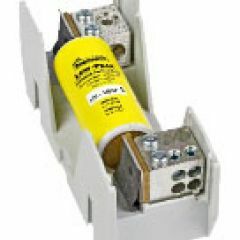 Our 50-400 amp fuses use up to 48% less enclosure space when compared with traditional high speed, round body fuses. What's more, the innovative design allows for a significantly smaller package without compromising heat rise performance. Hubbell USB Chargers are available in the new Type-C port, a combination unit with Type A and C, and the legacy Type A, all with more power. The increase in power to a 5 Amp 5 Volt USB port adds capacity so that there is always ample current to support multiple device charging. Portable mobile manufacturers recently announced products using the faster Type-C ports. More phones, tablets and other electronic devices are expected to use this new standard. 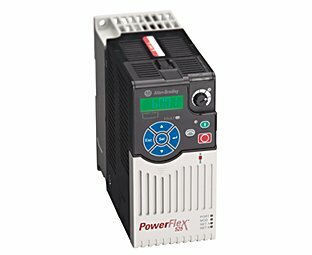 PowerFlex 755TL Drive- Provides low AC input harmonics and power factor correction through the use of active front end technology. 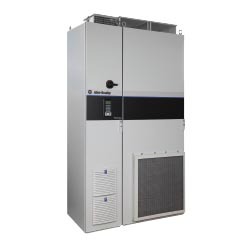 PowerFlex 755TR Drive - Provides an energy efficient solution that uses regenerative active front end technology to deliver energy back to the incoming supply. This drive also provides low AC input harmonics and power factor correction. PowerFlex 755TM Drive System - Select from a series of pre-designed configurations for regenerative common bus supplies and common bus inverters to optimize your system design and power consumption. Motion Solutions by Macron Dynamics, Inc.
Macron Dynamics is an efficient manufacturer of both standard motion components like MacSTANDARD belt driven actuators and screw actuators, as well as, engineered automation solutions including MacBUILT multi-axis automation systems and linear actuators. Macron Actuators offer horizontal and vertical motion with travel up to 500 feet, speeds up to 600 in/sec., and they can accurately handle loads up to 10,000 lbs. 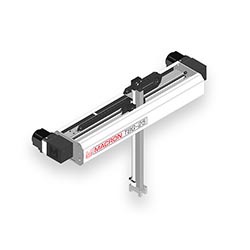 Macron also has complete packages for any type of linear motion - from simple single axis type motion to complex multi axis configurations for wide range of applications. And if you are looking for linear robots, Macron has a wide selection of linear robotic solutions including H-Bots, T-Bots, Gantries, and Cartesian Robots. Learn more about Macron by visiting them online @ www.macrondynamics.com . 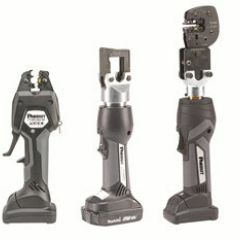 Panduit features NEW battery powered crimping tools - that lead the industry in safety and reliability. LinMot presents the newly developed model P04 linear motor. 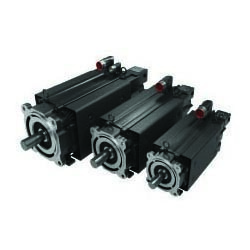 This motor has all the benefits of the familiar tubular linear motor and the additional advantage of an integrated linear guidance. The P04-actuator can be equipped with mechanical accessories which are known from pneumatics. Thus, the replacement of pneumatic is even easier! 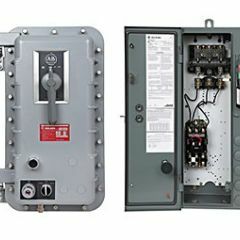 Hubbell's200A Disconnect Switches are the latest addition to the Circuit-Lock family of switched enclosures. The enclosures are designed to withstand harsh environments with exposure to water, chemicals, oils and frequent washdowns. Available in non-metallic or stainless steel, the enclosures are UL Listed Type 4X and 12. The switch accommodates up to two auxiliary contacts for control circuit applications. The high visibility red handle can be locked in the OFF position for compliance with OSHA Lockout/tagout requirements. Robust enough for demanding applications, these convection cooled units can operate from -10 C° (some units -25 °C) up to 70 °C. Typically, power derating is only required above 55 °C . 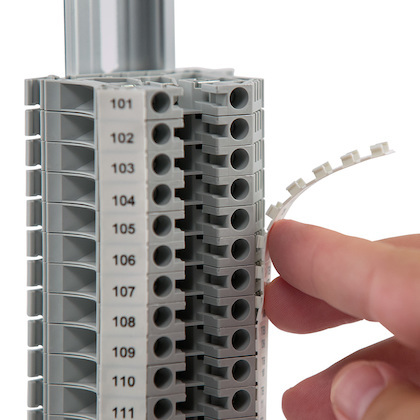 The XLB family is easy to mount on any standard DIN rail and features large-sized terminals for easy wiring. 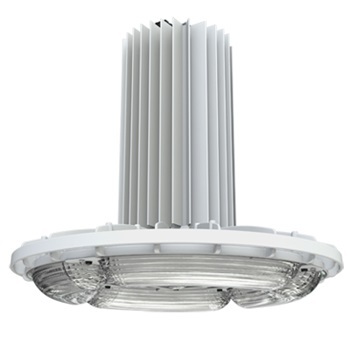 The 240 W version is only 49 mm wide, an industry leading space saving benefit of XLB. The clamped EBMX from Eaton's Crouse-Hinds. The world's only NEMA 7 classified enclosure to utilize clamping technology. 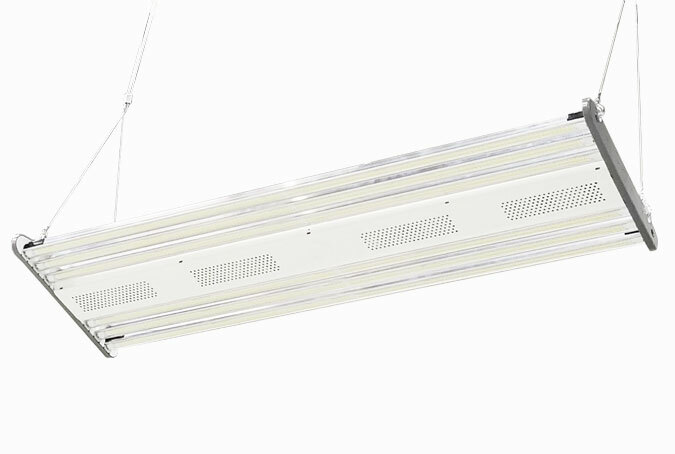 Pauluhn Apex LED luminaires are engineered to provide maintenance-free performance, while delivering long life and high lumen output for food and beverage applications. Featuring the industry's broadest range of LED luminaires for harsh, hazardous and industrial environments, Eaton's Crouse-Hinds can deliver a lighting solution that performs reliably in even the worst operating conditions. All the while reducing your energy, maintenance and manpower costs. 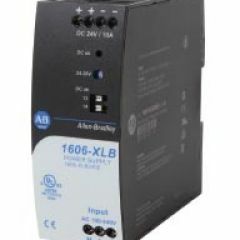 The Allen-Bradley Guardmaster 442G Multifunctional Access Box (MAB) is an integrated access control and guard locking device, which provides a complete safeguarding solution for full body access applications. 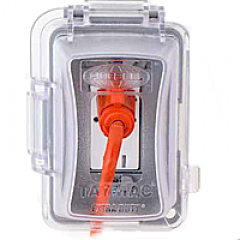 The upcoming product release includes CIP Safety over EtherNet/IP. 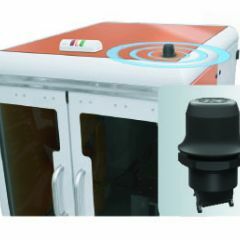 Anybus Wireless Bolt enables you to connect industri al machines and devices to a wireless network. It is attached onto a cabinet or a machine to enable wireless access over Bluetooth ® , Bluetooth Low Energy ® or WLAN (WiFi). Regardless of industry or application, the requirements of automation are universal. 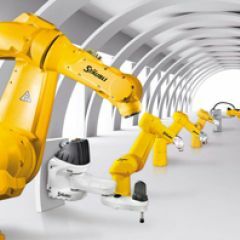 Across our extensive range of pr oducts, Stäubli industrial robot arms deliver distinct technical advantages: compact size, broad work envelopes, high-speed, precision, resistance to all types of environments and, above all, the flexibility to adapt to the greatest number of tasks. Staubli provides the most comprehensive product line with unmatched quality and reliability. 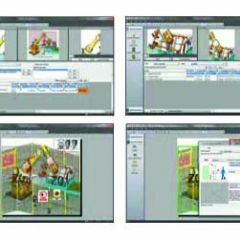 A PC software package, Staubli Robotics Studio, offering user-friendliness and integration within the Windows® environment. 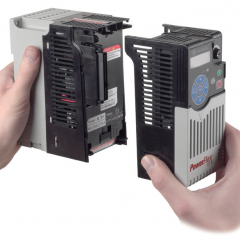 There are several ways to quickly and easily configure PowerFlex 523 AC drives. From the integral HIM that features QuickView ™ scrolling text, to Connected Components Workbench ™ software or the Studio 5000 Logix Designer ™ application; these tools are designed to help you reduce development time so you can deliver machines faster and more efficiently. ControlLogix® 5580 controllers provide increased performance, capacity, productivity, and security to help meet the growing demands of smart machines and equipment for manufacturing. These controllers use the Studio 5000 Automation Engineering & Design Environment ™ application as a common design environment and Integrated Motion over EtherNet/IP for high-speed motion applications. 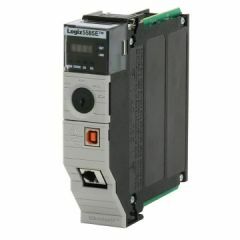 Ideal for applications requiring high-performance communications, I/O, and motion control for up to 2 56 axes, these controllers provide increased capacity of up to 45%. Philips LED High lumen post top lamp makes it easy to upgrade to long lasting, energy saving LED technology without sacrificing your site's unique outdoor character. 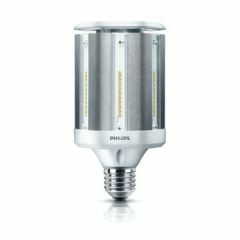 Save yourself the hassle of replacing your entire luminaire, and retrofit with the Philips LED High Lumen lamp. Hoffman is excited to announce the expansion of the SPECTRACOOL Air Conditioner family! The new N16 and N21 indoor air conditioners were created for customers needing compact units with active condensate management features and UL Listed protection up to and including Type 4X. Hubbell Wiring Device-Kellems has officially launched a new line of EXTRA DUTY®While-In-Use Covers. This family of NEMA 3R Rated While-in-Use Covers offers weather protection for devices when they are being used in damp or wet locations. They meet the current 2014 NEC®article 406.9. 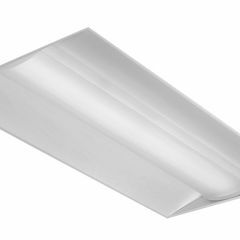 Constructed out of heavy duty die-cast metal and high-impact polycarbonate construction, EXTRA DUTY®While-In-Use Covers are ideal for use in industrial, commercial, and residential outdoor applications such as on exterior walls, pools, decks and exterior lighting. 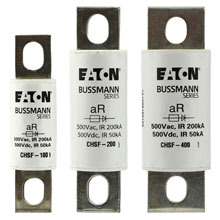 Eaton has developed a portfolio of Bussmann® series fuse blocks with power distribution capability. The patented design simplifies panel layout, reduces installation labor costs, uses less space, reduces the number of panel components and lowers the operating temperature of the enclosure. These fuse blocks are available in 1-, 2- and 3-pole configurations for Class J applications up to 400 amps, Class H(K) and Class R applications up to 60 amps. The Class J and Class R power distribution fuse block products also have a 200 kA withstand rating, which helps achieve a high panel assembly SCCR. The optional covers enhance the overall safety of the panel assembly, with IP20 finger-safe ratings. 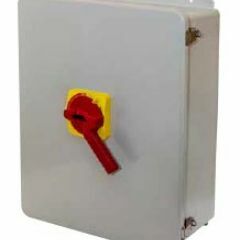 The covers have a convenient lockout/tagout feature, compatible with a broad array of lock designs. Covers are also available with optional open fuse indication to reduce troubleshooting and maintenance time. The SYSPEND Aluminum HMI enclosure is designed to accommodate modern touch-screen HMI devices and can be pendant- or pedestal-mounted. Extruded aluminum top and sides provide enhanced usability with internal mounting channels. 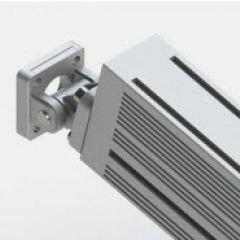 The single-walled aluminum reduces the overall weight of the enclosure, eliminating strain during installation and use. The integrated side handles provide enhanced ergonomics. The SYSPEND Aluminum HMI enclosure's aesthetics are clean and modern and the life of the HMI system is extended due to increased heat dissipation. Hubbell's watertight products are ideal for withstanding harsh, wet environments like food and beverage, processing and outdoor construction. These watertight devices offer superior resistance to water ingress and an extremely durable construction. HOFFMAN FILTER FANS: NEW LOOK, NEW FEATURES, NEW CERTIFICATION! Hoffman is excited to be the first to create and market Type 12 UL/cUL Listed Filter Fans for use with electrical enclosures! 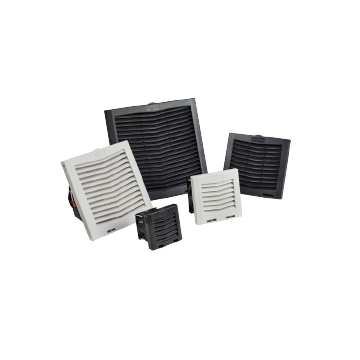 Underwriters Laboratories has created a new category that allows enclosure accessories like filter fans to now be certified as a UL/cUL Listed component. Hoffman's new filter fans are currently the first and only filter fans to be approved to have this new certification. Having this new certification enables us to better serve our OEM and Panel Shop customers by saving them the time and money required to obtain it on their own, when their specific applications or projects require it. Hubbell Dual Circuit Wall Switch Sensor is the perfect light switch replacement solution when controlling more than one load. It occupies the same space as a single gang wall switch with a depth of just over a one inch providing with one of the smallest form factors in the industry for its kind. This reduces installation costs and also provides the customer with flexibility of upgrading an existing system. It features adjustable sensing sensitivity and independent timers settings. It is available with options for night light and neutral wire if required. It can also be wired as either bi-level or dual circuit configurations.Hubbell offers units in both occupancy and Vacancy only operation modes that help maximize energy savings. Ratings now provided for ArmorStart®distributed motor starters,SMC™ Flex, SMC™-3 and SMC™-50 soft starters, power distribution and terminal blocks. Capable of measuring pressure of liquid or gases, the new Allen-Bradley®Solid-State 836P Pressure Sensors are available in display and non-display models in rugged, compact housings with corrosion- resistant 316L solid-state sensor elements. 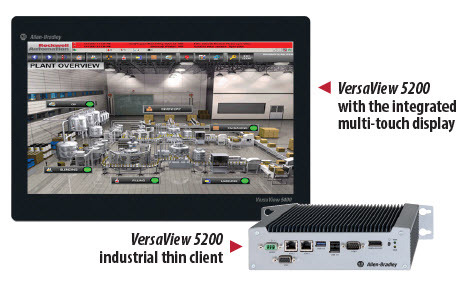 Display models feature embedded IO-Link for enhanced functionality, data and diagnostics. That's why they're rolling out our CoSPEC online 3D Drawing Catalog, which offers the ability to select and view Eaton's Crouse-Hinds series products in 2D and 3D. Then, with a couple of clicks, you can download design content in one of nearly 100 different CAD, BIM, PDMS and graphics formats. File format outputs are native to the chosen software, which eliminates translation errors and speeds the integration of the content into your project. Configureproducts to exact base catalog number/SKU. Viewyour chosen product in 2D or 3D. Download2D drawings or 3D models for integration into your design packages. Learn About the Tool and create your User ID. Hubbell's Advantage Series combines the advantages of their top performing 60A IEC pin & sleeve with the capabilities of a UL2682 switch-rated device. Hubbell's Pin & Sleeve connections have always been safe - that hasn't changed. The Advantage™series simply has more advantages. More Flexibility - The Advantage™Series are the only Switch-Rated IEC Pin & Sleeve Devices in the market. 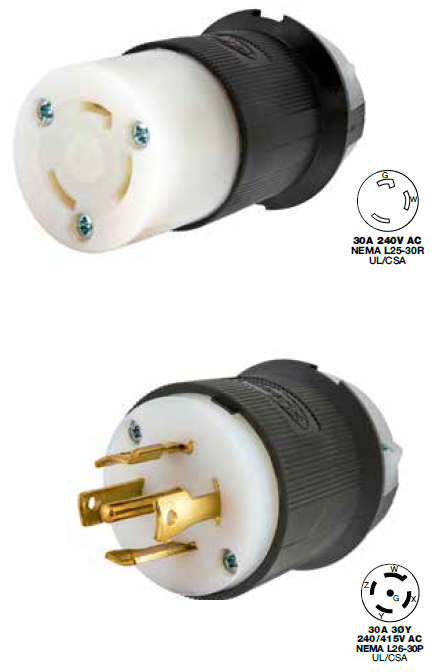 By working with existing installed IEC 60309-2 pin and sleeve plug and inlet bases customers save both time and money. More Switching Capabilities - The Advantage™Series are approved as a disconnecting means for both motor circuits and branch circuits. They carry a robust 100kA SCCR rating along with a 30 HP rating at 480V. More Water Ingress Protection - The Advantage™ Series are designed for use in harsh environments. 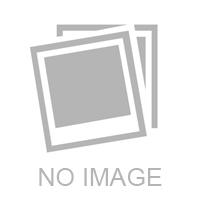 They are UL witnessed IP69K and UL Type 4X and 12 devices. They were engineered to offer superior protection against water and dust - even enduring high water flow or areas with excessive amounts of dust. The sleek, modern design makes them easy to keep clean in washdown applications. Product ratings are laser-marked into the device for permanent identification that won't wash off. Interested in learning more, give us a call or complete a Solutions Information form . Upgrading to energy-saving lighting just got a whole lot easier. Philips InstantFit LED lamps fit seamlessly into your existing fluorescent fixtures, so you can switch to energy-efficient illumination just by swapping tubes. 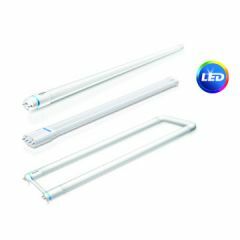 These ground-breaking lamps come in a range of shapes and sizes that include linear (2ft., 3ft., and 4 ft.), U-Bent, and 4-pin compact fluorescent lamps (G24q / GX24 bases), and 4-pin long compact fluorescent lamps (2G11 base). Furthermore, they utilize your existing ballast so no re-wiring is needed. 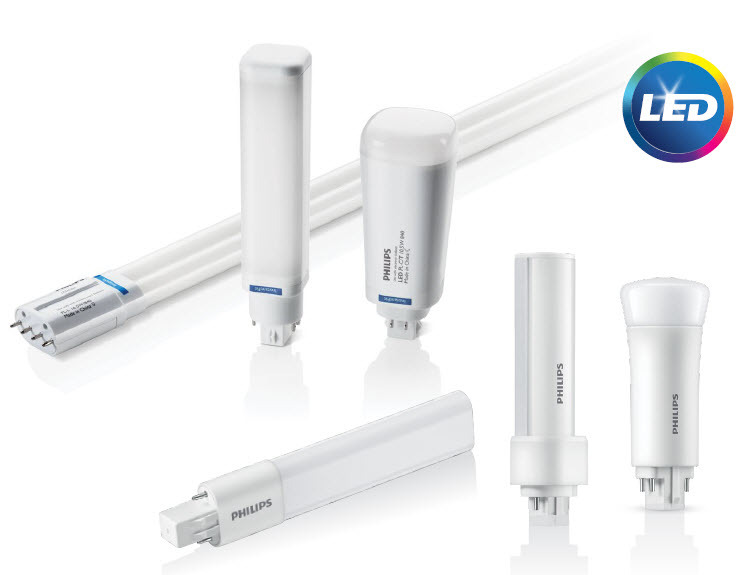 Philips InstantFit tubes are compatible with 80% of fluorescent ballasts in use today. 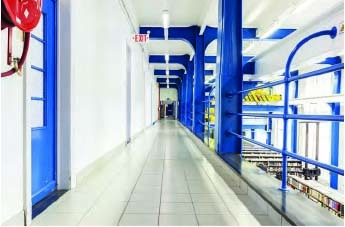 What's more, they provide energy savings of up to 50% compared to fluorescent 32W T8 systems. The Littelfuse PGR-8800 can be used as part of an energy-reducing active arc-flash mitigation system to meet NEC 240.87 (B) (4). 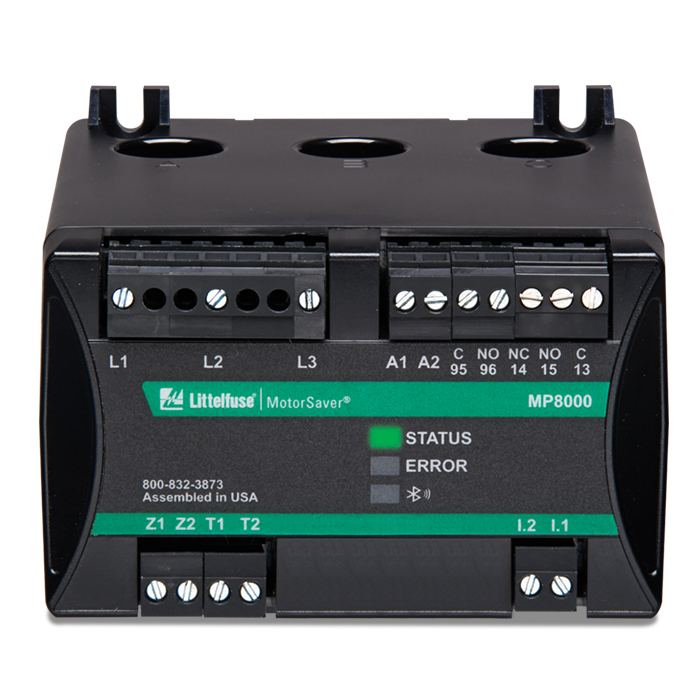 It is a UL and cUL Listed Arc-Flash Relay that will reliably detect developing Arc-Flash incidents without nuisance tripping. The PGR-8800 looks for a combination of excess light and current. 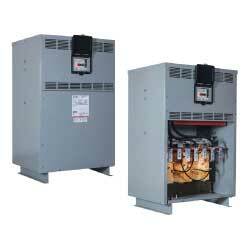 The phase-current-transformer inputs provide for current-constrained arc-flash protection. A programmable definite-time overcurrent function can be enabled. There is an optical sensor on the PGR-8800 and adjustable trip level to reduce the chance of nuisance tripping by setting a threshold for ambient light. Sensors, inputs, and connections are monitored to ensure fail-safe operation. A secondary solid-state trip circuit provides a redundant trip path. A USB port is used for configuration and access event logs and graphs. Ethernet networks are becoming a critical link between the Manufacturing and Automation Systems and the Business Systems. With the number of connected industrial devices expected to increase dramatically in the future, this creates a greater possibility of disruptions. With so many connected devices to manage, detection, diagnosis and problem resolution have become a costly and time-consuming task. What's more, manually testing every endpoint to pinpoint connectivity failure is not practical or feasible. 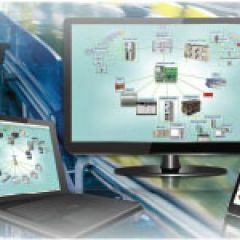 IntraVUE, addresses the challenges unique to these industrial environments, providing awareness into all levels of devices and connectivity, and enabling operational field technicians to efficiently communicate with IT resources. IntraVUE also helps to speed both documentation and deployment, and provides advanced analytics to optimize ongoing performance. Download Panduit's Case Study below and if you are interested in learning more, contact your Revere Account Manager for a LIVE Demo. Hubbell's USB Charger Duplex Receptacle provides both USB and electrical power in a standard single gang opening. Designed to provide maximum charging for portable electronics, the USB ports are capable of charging two tablets simultaneously. 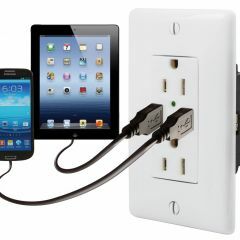 The 4 Port Charger Outlet features a USB port door, which when open enables power. When closed, all power is switched off. This eliminates all current flow for a "zero" no-load draw. Buildings looking to provide 100% green efficiency in power delivery will maximize LEED and energy efficient design. The R-3K is a Permanent Electrical Safety Device (PESD) that complements Grace Engineered Products existing line of SafeSide R-3W series voltage indicators used in the mechanical and electrical Lockout/Tagout (LOTO) process. The R-3K not only keeps people safe, it also makes workers lives simple with easy installation; meaning decreased downtime and increased productivity. The R-3K is easy to install on any NEMA Type 4, 4X or 12 electrical cabinet door or on a cabinet flange with a 30mm standard knock-out next to a voltage indicator. No need for any additional wiring other than just passing three phase leads through the R-3K. With the R-3K and R-3W series voltage indicators, electricians can now perform "live-dead-live" test, as mandated by OSHA for voltages above 50 volts and as required by the NFPA 70E (2012 edition), Article 110.4(A)(5), with visual indicator and a NCVD pen. The eWON Cosy is an industrial remote access router that is designed to offer easy remote access, across the Internet, to machines and installations at customers or in the field. With eWON Cosy, OEMs and System Integrators can troubleshoot machines, debug the PLC program, upload projects, gain remote use of an HMI or an IP camera, without going on site, drastically reducing support costs. The eWON Cosy lets an engineer establish a secure VPN connection from the machine to anywhere via Talk2M, eWON's cloud-based remote connectivity solution. 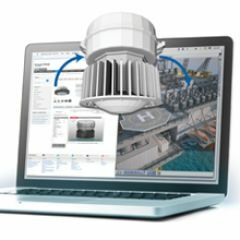 The router seamlessly communicates on the local area network with the PLC and the HMI, and allows remote connection from anywhere with a simple laptop, tablet or smartphone. eWON Cosy and Talk2M make working across the Internet easy, so the user does not need to be an IT expert to take advantage of it. Ordering and receiving your modified standard enclosure has never been so easy. With our new eCAB Mod Center, Revere can create holes and cut-outs for almost any standard enclosure, to your precise specifications, on time and on budget. From small junction boxes to the largest free-standing enclosures, our modification solution eliminates the labor intensive manual process of creating your own customized panels and modified enclosures. 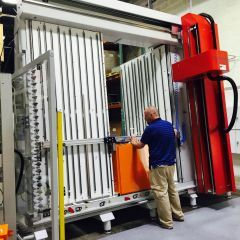 We can quickly modify everything from one off panels to complex modifications with 100% automated, repeatable accuracy. Precisely guided by software that integrates seamlessly with standard industry CAD DXF files, our Mod Center automates all of the drilling, tapping, milling and processing steps and creates perfectly positioned holes and cutouts every time - no more measuring errors and costly delays! We are pleased to introduce the Bussmann® series Low Profile Compact Circuit Protector (CCPLP), the industry's smallest UL 98 Listed fused disconnect switch. The game-changing CCPLP can be panel-mounted in a variety of applications, and is available in 20A for Class G, 30A Class CC, IEC 10x38mm gG/aM up to 32A and UL midget versions, all in 1-, 2- and 3-pole versions. This versatile fused disconnect switch is able to reject other class fuses while providing the flexibility to change ampacity within the fuse class, if needed. With the industry's smallest fusible switch footprint, the CCPLP matches common low-profile, panel-mount circuit breakers, providing an easy, alternative solution with more than 10X the interrupting rating. The CCPLP is designed to support higher energy efficiency and greater power density data center designs, and can also help easily achieve selective coordination. The Philips Day-Brite / Philips CFI EvoGrid recessed architectural LED combines style and affordability so that you can create comfortable, energy-efficient spaces within reach of your budget. The attractive 2x2 and 2x4 configurations and three color temperatures complement any decor without distraction, thanks to a single lens enclosure and stylish, modern architectural aesthetics, yet are priced similarly to specification grade fluorescent luminaires. EvoGrid makes it easy to transition into dimmable LED technology, with high energy efficiency that can reduce payback periods; while the SpaceWise integrated wireless control option provides further energy savings that may qualify for additional rebate incentives. 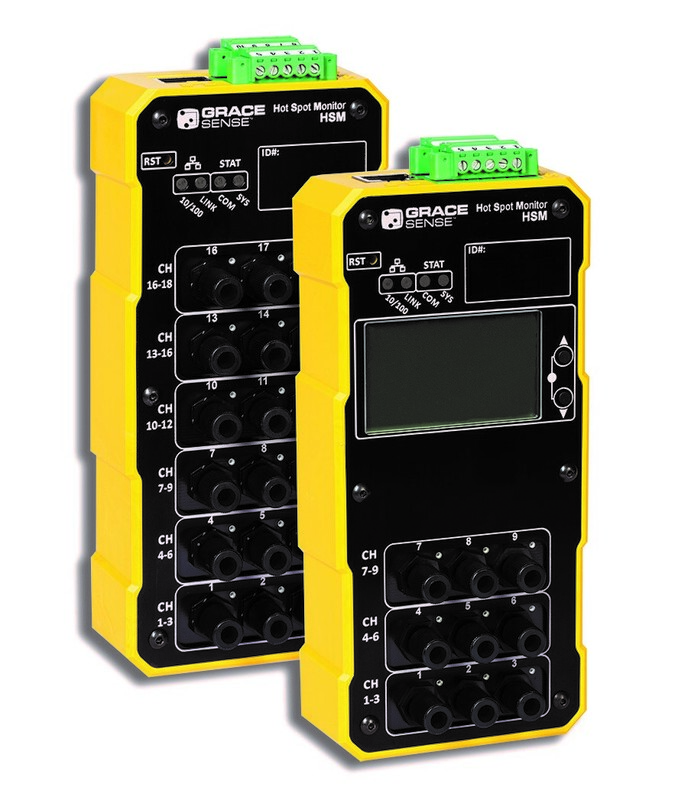 Grace's new SafeSide® Voltage Test Station (VTS) is a revolutionary product that minimizes electrical worker's exposure to live voltage and the risk of an arc flash hazard. The VTS further simplifies the three step voltage test method and exceeds NFPA 70 E/CSA Z642 and OSHA standards if used in your Lock-out Tag-out (LOTO) procedure. 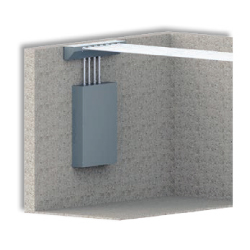 This thru-door technology concept provides a combination of a voltage indicator and test points for actual voltage measurement in a single housing, eliminating guess work and verifying zero electrical energy from outside the enclosure. The entire VTS product offering follows Grace's core concept of customization, available in various NEMA and stainless steel housings to serve many industry needs. After a year in design and testing, Encore believes the PullPro is now the best product in the market and we're ready to show you why. Budget, safety and agility take priority on any job site, so we developed a product that weighs less than 30lbs, requires no additional tools and fits into any small space for storage. 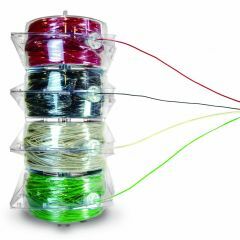 The PullPro's case is manufactured from durable material that can withstand nearly any drop, but in the event you'd like to drop it from extreme heights, don't worry, PullPro's technology allows for a seamless wire pull with or without the case. 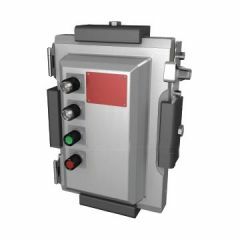 The FS66S enclosure is designed to house large components such as motor starters, drives, contactors and PLC, as well as a wide range of other electrical and electronic equipment in harsh and corrosive environments. The enclosure's three-point latching and foam-in-place sealing provide industry-leading protection from dust, oil and water. Rated UL 4X and IP66, the FS66S enclosure is used extensively in vertical markets including Oil & Gas, Water/Wastewater, Petrochemicals and Power Generation. It offers a perfect solution to outdoor DCS applications. End users can choose from a number of styles and options to meet their specific application needs, including non-fusible or fusible versions. 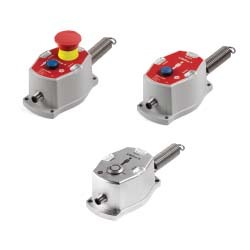 The universal disconnect switches are unique in that they can be connected for rod or cable operation in the field. With the cable option, users also have the flexibility to mount the switch anywhere in the panel, regardless of location of the handle. Panel builders can take advantage of enhanced safety for customers with the optional one piece back-of-hand cover designed to protect against the line and load sides of the switch. Snap-on auxiliary contacts provide status notification to the control system. 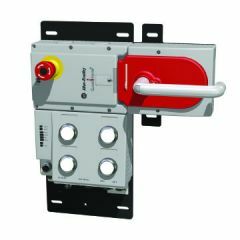 The disconnect switches are also in compliance with NFPA 79-as the switch, operating mechanism and handle are connected, whether the panel door is open or closed. The new, patent-pending V-Spring telescoping light pole from Eaton's Crouse-Hinds business increases safety and decreases labor costs associated with lighting installation and routine maintenance. Its innovative design allows for all work to safely take place on the platform or walkway, eliminating the need for portable ladders and fall protection equipment. 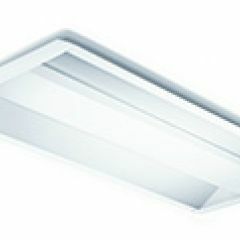 Philips EvoKit LED Retrofit Kit is an energy efficient LED alternative to traditional linear fluorescent troffers. Not only does it offer energy savings , it also helps reduce maintenance costs due to its long lifetime. Simple construction helps decrease the installation time meaning you can have an LED solution in your ceiling in just minutes.